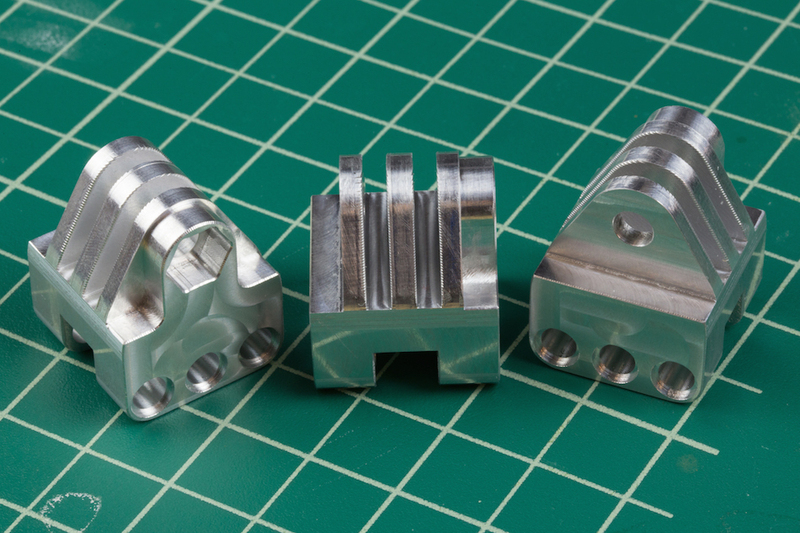 Optimize Your Product Design Cycles for CNC Machining. 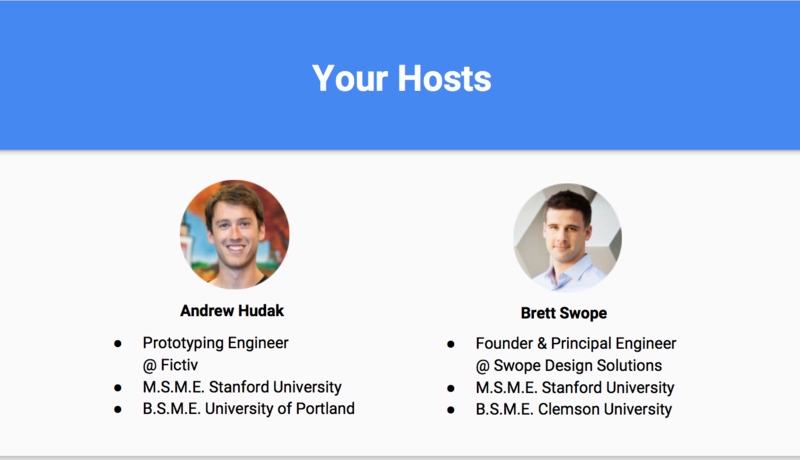 In this 32-slide presentation and video, you'll get a comprehensive view from prototyping experts Andrew Hudak and Brett Swope on how to best leverage CNC machining for prototyping hardware. 1. What is CNC Machining? 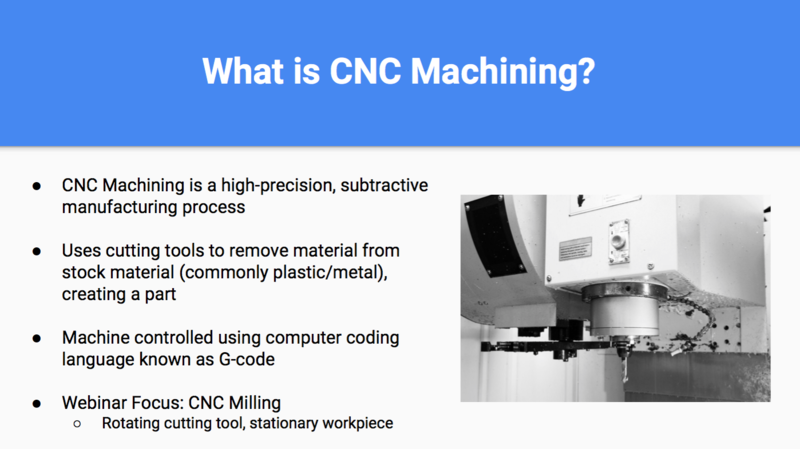 If you're new to the process, this quick overview of CNC machining will help you understand machining capabilities and best use cases. Learn how CNC machining best fits into the product development lifecycle and when you might consider making the switch from other fabrication processes like 3D printing. 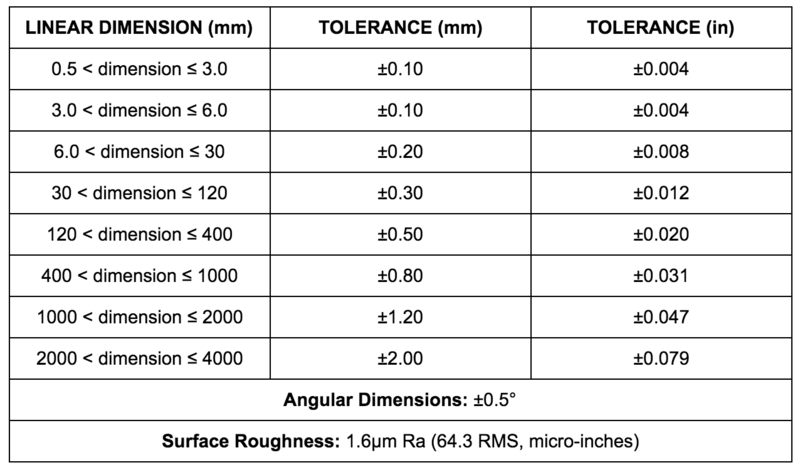 Many designers and engineers have limited experience with CNC machines and may not know how the design they submit will influence cost, lead time, tolerances, surface finish, or other outputs. By deepening your knowledge around important variables that impact CNC machine operation, you can effectively reduce costs and lead times to keep projects on time and under budget. Download our in-depth presentation on CNC machining for prototyping hardware to help you optimize your designs and accelerate product development cycles.